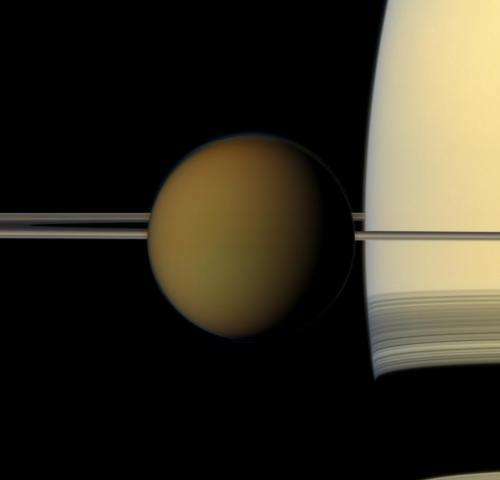 (Phys.org) —A laboratory experiment at NASA's Jet Propulsion Laboratory, Pasadena, Calif., simulating the atmosphere of Saturn's moon Titan suggests complex organic chemistry that could eventually lead to the building blocks of life extends lower in the atmosphere than previously thought. 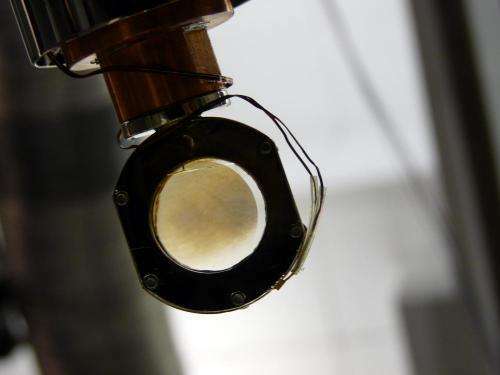 The results now point out another region on the moon that could brew up prebiotic materials. The paper was published in Nature Communications this week. 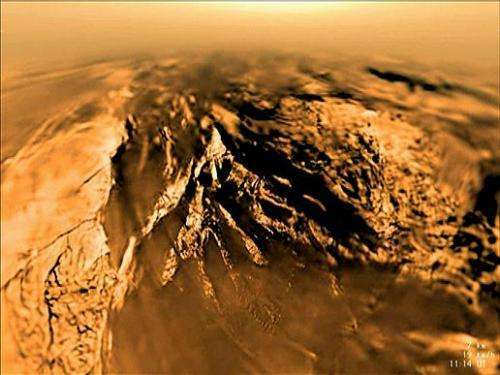 The team examined an ice form of dicyanoacetylene—a molecule detected on Titan that is related to a compound that turned brown after being exposed to ambient light in Allen's lab 40 years ago.